Consumers do no more trust the advertisements. Instead, they have more faith on micro influencers. Recommendations of micro-influencers are influencing the buying decisions of the consumers. Because of this businesses are using micro-influences to promote their product online. Micro-influencers have the fan following anywhere between thousand to fifty thousand and have a direct connection with the audience. They understand the followers fully and also respect them. Micro-influencers are trusted by consumers more than the advertisements. An influencer defined as a person having more reach and who can impact Social Media through word of mouth with the relevant audience. Micro-influencers are individuals who work in particular industry or are genuinely passionate, knowledgeable, and authentic source when to buy and how to buy. Micro–influencers have up to 20% more “buying conversations” that influence product recommendations on an average week than an average online consumer. An influencer is a person who can influence the people’s behaviors and opinions of others through their content publishing on the blogs and social channels. Advocacy Marketing is a kind of digital marketing that empowers customers to talk about the brand and its products. Get more reach to the target audience and save on paid online marketing and gain more organic traction and impressions, engagement. Brands can reach to millions of customers on social media. 47% of Young Adults buy a product influenced by a Hollywood celebrities. The brand will create more engagement with every new content share on Social Media. There are many famous micro-influencers on social media platforms. Find the right influencer by searching through the Instagram followers of the brand and if anyone found, then asking them to promote the brad. Another way is to pay for databases and access the contact information of influencers in different categories. Use relevant hashtag research and find influencers that can help for your business. Top local bloggers can found by searching Google. Some tools can help locate the influencers, and some of these are Markerly HYPR, Insightpool and Nina Outreach. Many benefits are working with micro-influencers. These include the following. Targeting a relevant audience is possible. Micro-Influencers is because they specialize in the specific niche. Micro-influencer marketing is less expensive and is ideal for small businesses and startups. Since the relevant audience targeted, conversions may increase. More than ninety percent of the consumers consider micro influencers credible and trust-worthy. More than eighty percent of consumers trust the recommendations of the influencer. Micro-influencers can engage their audience better and this result in better conversions and boost in sales. Studies proved that micro-influencers increase the sales by at least three hundred percent. It confirmed that they could keep the audience engaged by creating unique content about the product. 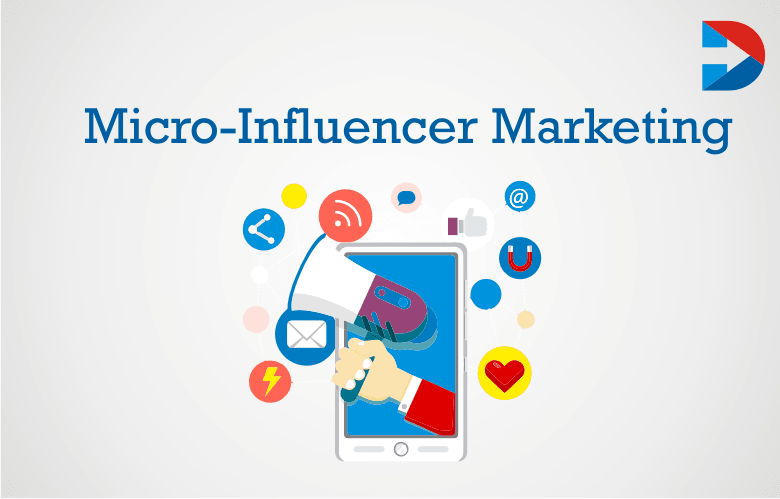 Micro-influencers can engage the audience better and increase conversions. Businesses and brands understand this, and so the influencers are taking the marketing world by storm. Here are some tips on working with micro influencers and improve branding. Have multiple influencers to promote your product or brand. Since these people charge less, businesses can afford to active more influencers to get exposure to different followers. It raises brand awareness. Engage the audience by offering giveaways through micro-influencers. Ask the influencers to host giveaway content. These types of contests engage the audience better since there is a chance to win something. As part of the competition, ask the consumers to share, comment or tag the post to get even more exposure. Send freebies to the influencers and ask them to review the products. Since most consumers believe the reviews of influencers conversion rates might increase. Let the influencer be honest in their reports. The Young Audience does not follow the direct advertising 62% Young Adults follow the products recommended by a Youtubers. Ask the micro-influencer to tell a story about the product. Most influencers are good at creating content. They can come up with a unique idea to tell a story about a product. The businesses can feature the content created by the influencers on the website or the social media accounts. Sharing the content of influencer not only boosts brand trust but this also increases the visibility of the influencer to the new audience. The relation between the brand and the influencer will become active with these. Invite the micro-influencer to meetups and brand events and encourage them to share their experience with the followers. There should be some reason for the influencers to promote the brand. Provide them codes or referral links so that they can make money for every conversion they drive. Micro-Influencers will encourage them to talk more about the product which will be beneficial for the brand to boost brand awareness which is crucial for branding. Identify what is essential for the influencer. Micro influencers are going to be essential content producers and social and economic influencers. Influencers can attract and engage the customers and make a brand or business success. Influencers usually paid for their services. However, the trend now increases in unpaid influencers. Because people believe in unpaid influencers, more as they genuinely offer the information about a product or a service. Originality, transparency, and authenticity are going to the most looked for features in an influencer in the future. A team might be required to handle influencer relations in future. Using local influencers for businesses is going to become very important to the companies. 87% of Micro Influences charge less than $500 for blog posts and 96% charge less than $1000 for Blog Posts. Because we should understand the people needs. The growth of influencer marketing trends is going to increase in future. Instagram is great for reaching and targeting smartphone consumers like Millennials and Teens with the right target. Micro-influencers are an excellent opportunity for small or big brands given that 72% of them work on less than four campaigns per year. 85% of micro-influencers publish content to a blogging platforms then after Social Media. 79% of micro-influencers use Social Media Platform like Instagram for original content creation. Blogging Content and Instagram Photos, Videos is where a large number of micro-influencers publish organic content on Social Media. 55% of micro-influencers implement Instagram the most engaging social media platform to reach their target audience. 75%of Fashion micro-influencers chose Social Media Platform Instagram as best performing one. 30% of Entertainment and Pop Culture micro-influencers choose Social Media Platform Instagram. Micro-influencers categories like Food, Fashion, Travel, Beauty, Lifestyle, Home, and DIY are best performing for brands. Micro influencer marketing is not new, but in the fast couple of years, it is booming because of the popularity of social media. The latest marketing trend is that consumers have more faith on micro influencers. They can attract like-minded people and identify the target audience. Engaging with micro influencers is going to be beneficial for the companies, and one of the reasons for this is that they need to spend only a little amount for their marketing campaigns and boost conversions, sales and build brand trust.